I did this series as a start to the podcast and as a foundation for the Bible 805. In it, we look at how we determine truth in a world where the term no longer has a firm foundation. But truth is essential for us to know how to live today and for our eternal future. I believe the Christian Bible is a source of truth, but I didn't want you to believe that just because it's my opinion. Based on the results of many years of spiritual study and searching, I'm sharing what I learned. I'm not a professional theologian or historian (though I've had graduate training and studied widely in both areas), but a fellow traveler and pilgrim, a writer and teacher for Jesus who wants to share what I think are some exciting realities about why we can trust the Bible. I also wanted to give you this background before we start the year's study of reading through the Bible in Chronological order. 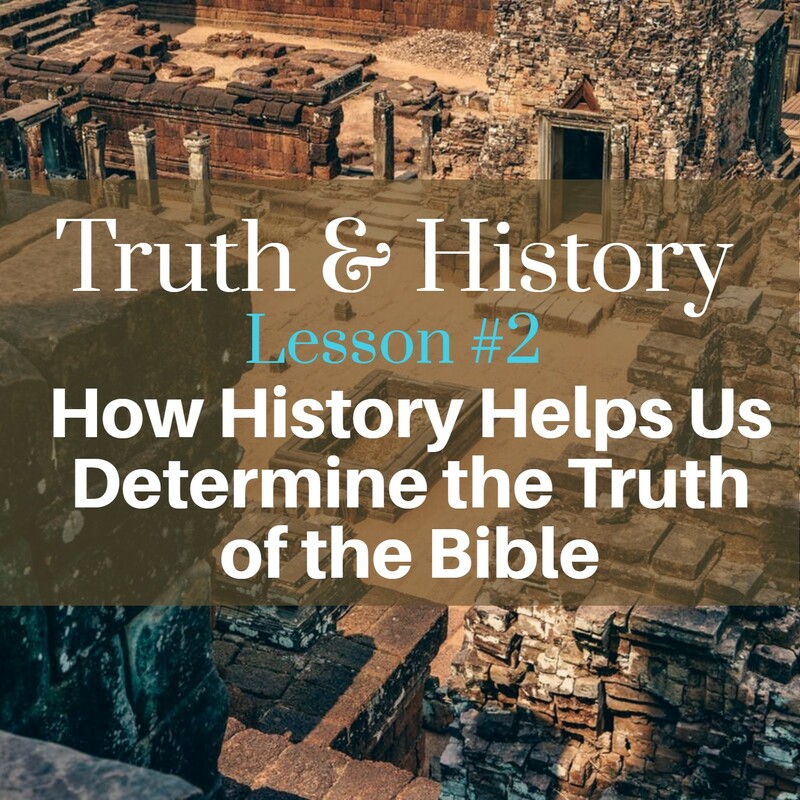 It isn't essential that you listen to these before we start, but I do recommend it because I think when you see how the Bible is based on objective truth, verified by secular history, you'll be motivated to read the whole book. Below are the lessons in order, just click on the blue link to go to a post that has the podcast, plus some additional materials. Sadly, I'm not totally organized or consistent on the show notes or extras with each lesson, some are more useful than others and I'm still figuring out exactly what I'm going to be doing in this area. You can also listen to the podcasts on your favorite phone or podcast ap, it's available on iTunes and many others, CLICK here for a link to the various sources. 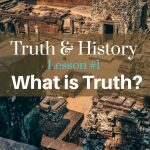 Truth and History: Lesson One, What is Truth? Isn’t the Bible full of errors? Hasn’t it been copied so many times nobody has any idea what the original was? 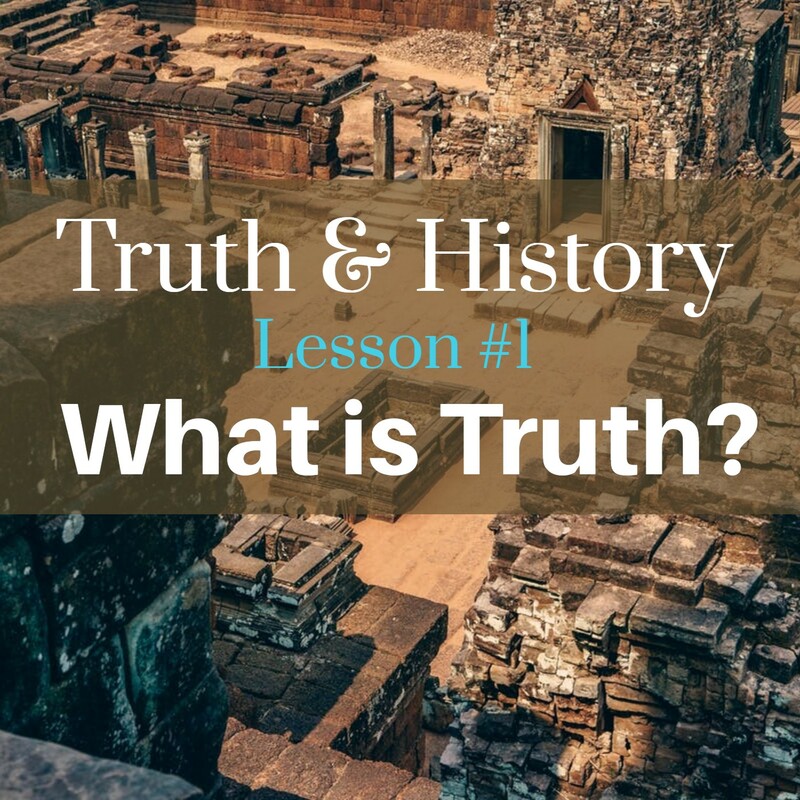 HOW can history help us decide what’s true and what isn’t? Answering those questions is what this podcast is about. Here is the chart I talk about in the podcast. Click on it to download a PDF of it. As I was thinking about it, I realized history is like an anchor. Just as an anchor keeps a ship from floating off in any direction, so too, history can help tie what we believe to what happened in the real world, outside the pages of a sacred text. 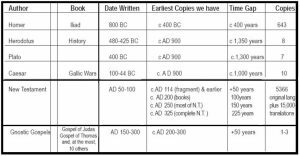 **When were the scriptures written? 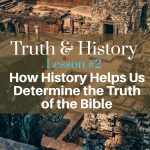 These answers form historical links in the chain of the anchor that goes from the real world to the text we have today–and we’ll answer them in the podcast. Welcome to the Bible 805 Podcast! You can listen to it here or on many of the aps on your phone. Below the player is a transcript of the podcast. How do we know what’s True? More than ever it’s an important question. Fake news, conflicting viewpoints, how do we know what to believe? On one level if the confusion over truth were just confined to the political realm, one option would be to block the media noise, wait for the next election cycle, and hope things will get better. But we can’t do that in all of life. Our daily lives, how we interact with those we love, our eternal future—Truth in these areas doesn’t change with the political climate. Hi, I’m Yvon Prehn and Welcome to Bible 805!